Amazon warehouse in Canada only have a few in some mind cities: Toronto Vancouver Westminster. If you have Amazon Canada account and sell in Canada marketing, below Amazon Fulfillment Centers warehouse address details zip number are enough for your learn about. Each Amazon how far from port of Vancouver or Toronto airport. Choose an appropriate for your products shipped from China to Canada Amazon FBA, so that control your Amazon business cost. Amazon Canada locations in British Columbia: FBA Code-YVR1 450 Derwent PL Delta, British Columbia V3M 5Y9, city Vancouver, State British Columbia, Zip V3M5Y9. This is the biggest Amazon warehouse in Canada, the sea freight air freight from China to this warehouse is the cheappest also. Far from Vancouver port around 30 KM, and nearly from UPS express office. When freight forwarder shipping your Amazon shipment to Vancouver port or airport than use local UPS express delivery to Amazon YVR1 warehouse only take 1 hours. Amazon Canada locations in Ontario have three warehouse, first one is below:FBA Code YYZ1,address 6363 Millcreek Drive Mississauga, Ontario L5N 1L8, city Toronto, state Ontario, zip L5N1L8. Amazon Canada locations in Ontario the second warehouse:FBA Code YYZ2,address 2750 Peddie Rd. Milton, Ontario L9T 6Y9, city Toronto, state Ontario, zip L9T6Y9. Amazon Canada locations in Ontario the third warehouse :FBA Code YYZ3,address 7995 Winston Churchill Blvd. Brampton, Ontario L6Y 0B2, city Toronto, state Ontario, zip L6Y0B2、 L6Y0C9 . Over three warehouse not for from each other. 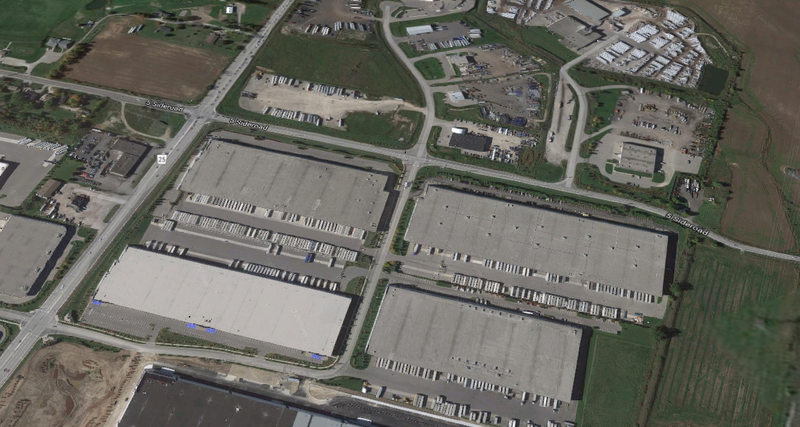 Why there have three warehouse in Toronto. Because Toronto is the biggest cities in Canada, there have 3 million population. so there many people buy from Amazon. Amazon have distriction center can easy delivery to clinet in one day.